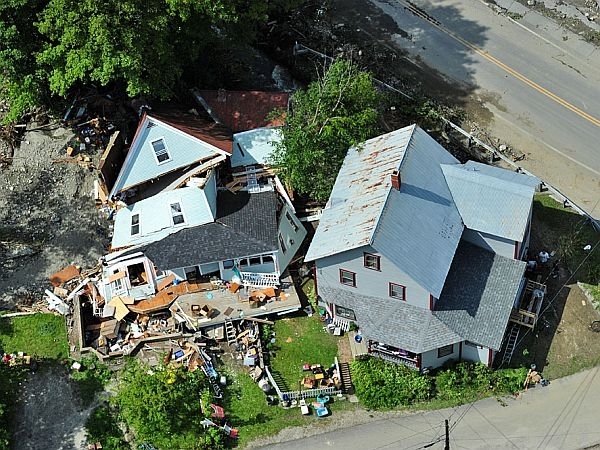 Jon Graham and Beth Frock of Rochester lost their home on August 28th during Tropical Storm Irene when a brook that overran its banks, eroded the land supporting the foundation, and toppled the house to the ground. In the weeks since the disaster, the couple and their two teenage daughters are picking up the pieces of their life and coping the best they can. VPR’s Mitch Wertlieb visited Jon and Beth shortly after the storm to find out how them were coping and continues to follow their progress on the road to to recovery in this special series.